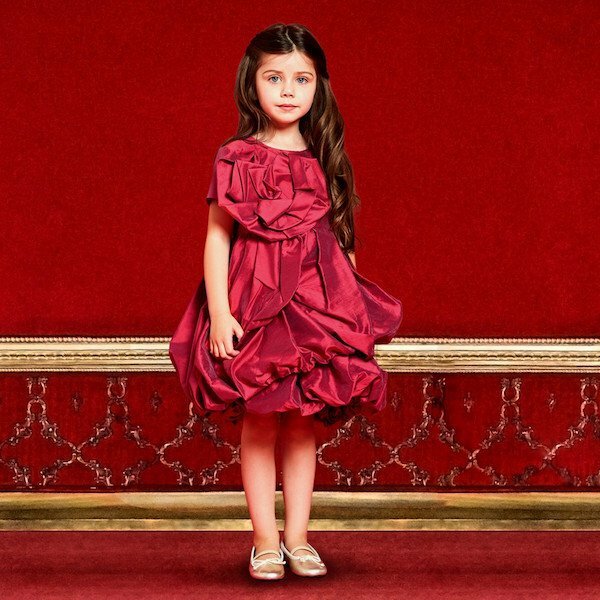 Love this adorable shimmery red dress by I Pinco Pallino Girls, made with a cotton blend with a taffeta feel and has a silky lining. Perfect for any special occasion, this festive dress features a large ruffled floral appliqué and a full two layered pleated skirt. This gorgeous dress will look picture perfect with these handmade Manuela de Juan girls gold metallic ballerina pumps made from a super soft leather. Perfect look for special events including a Christmas Holiday Party. Designed in Italy, Ships Worldwide.